If your hotel is on the water, you can offer a lot more than rooms with a view. With the right hotel dock systems, you can give guests the convenience of a docking spot for their boats or access to water taxis and boat tours. 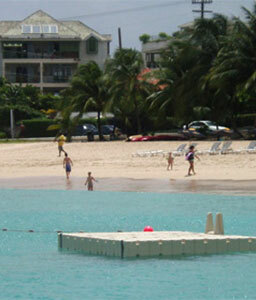 You can also provide a great waterfront area for strolling and relaxing with walkways. 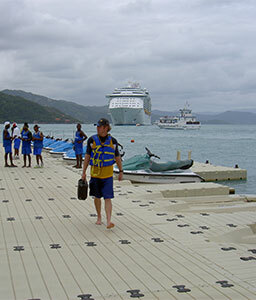 Many top hotels and resorts in the country and around the world already have EZ Dock systems. 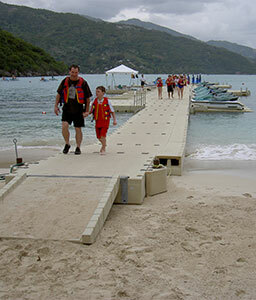 EZ Dock is an ideal solution for resorts and hotels because our modular dock systems allow you to customize your docks. You can create boat-docking spaces for guests, expand waterways and more. Our solutions are also scalable. 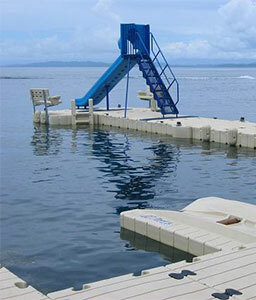 As you acquire more property or expand your business, EZ Dock allows you to expand your resort dock systems, too. 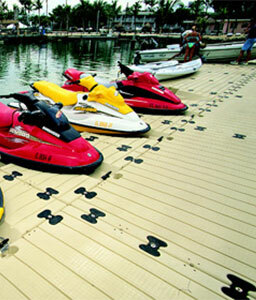 To keep your guests safer, EZ Dock offers slip-resistant and highly stable docks. In addition, our dock solutions are built to last, so your investment has more time to net you returns. 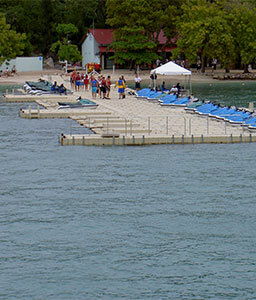 In fact, our docks are popular with resorts and hotels because our systems even withstand strong winds and storms, meaning they can last for many years. With our low-maintenance design, you will not be committing to complex repainting and maintenance schedules with EZ Dock. If you’re ready to improve your guests’ experience and waterfront property aesthetic – all while providing a strong return on investment, contact your nearest EZ Dock dealer today.